Steven Lloyd believes speaking to any size group is both an honor and an obligation. First and foremost, he understands the reputation of the person who hired him to speak is on the line. Steven’s first goal is to ensure you are proud of the work that he presents on your behalf. 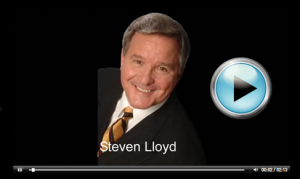 Since Steven Lloyd creates a custom talk exactly to your needs, he leaves nothing to chance. Every group is different and a “canned speech, seminar, webinar, or workshop” can never accomplish the unique results you want and need. Below is a small sample of some of the speeches, talks, trainings, and coaching Steven Lloyd has done.